I LOVE dry shampoo. Call me crazy but I am obsessed with the trend! 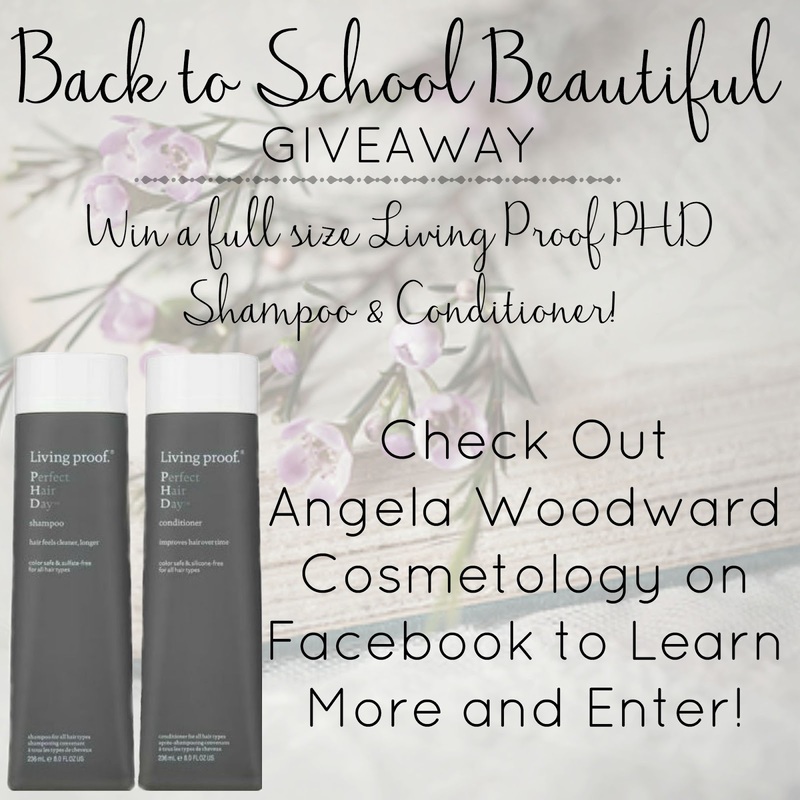 From clients in my chair to readers at home I am constantly asked what my favorite dry shampoos are! I usually refer them to the product reviews tab of my blog. However today I am going to give you guys the list of my top three favs and why! I am a BIG dry shampoo junkie. I shower every day but I only wash my hair once or twice a week. I rarely go less than 4 days in between shampoos unless I have swam recently or done some outdoorsy stuff. Here is my personal top 3 picks! This dry shampoo is average in the way that you spray it on your roots and it absorbs the oils and that is all. I love it because it smells incredible. It has this light crisp clean scent that I love! It also doesn't make my hair have that white or powdery cast that is easy to get from dry shampoos. Overall it is easy to use, it works and leaves your hair looking and feeling great! This is the newest edition to the Living Proof family and I was super stoked to try it out! This dry shampoo is different because most dry shampoos put tiny powdered molecules in your hair that absorb grease so your hair looks cleaner. This one has larger powdered molecules that instantly turn your hair white. I know that is usually a negative but you are supposed to let it sit for 45 seconds and then shake out the powder. It will absorb the oils and instead of sitting in your hair, it shakes out removing the oils instead of just absorbing them. I feel like when I use this dry shampoo on my seriously oily days my hair looks and feel clean that day AND the next often! Usually when I use dry shampoo on days 3 & 4 my hair is up in a bun or pony tail no matter what! However when I use this stuff my hair is often down and full looking. I am a big fan, but you do have to give a few shots before falling in love because it is different. When I tried this I was a skeptic because it is supposed to ADD shine. I am pretty sure I use dry shampoo to make my hair less shiny right? But I love this stuff! Sometimes when I use dry shampoos I feel like while my hair is no longer greasy it also looks tired, dull and dry. This still absorbs oils and makes my hair looks clean, but gives it a healthy shine too. "So there is this new thing, eyebrow extensions. I am not really sure what they are, but the before and afters look amazing! 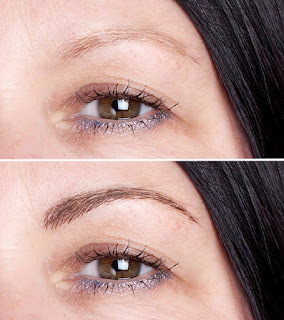 I have almost no eyebrows (from over plucking in high school) and these look like a great solution, but I want your honest opinion. What are they exactly? How are they done? Are they worth it?" So eyebrow extension pictures have taken over social media in a very big way. The before and after picture are indeed phenomenal! With big bold brows being what is in, getting that look with hair like extensions as opposed to drawing them on is awesome! But I so not recommend eyebrow extensions and this is why. 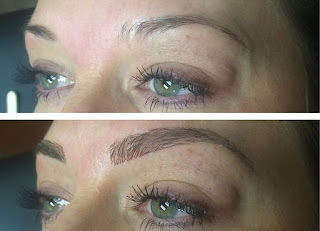 The average price for eyebrow extensions is around $90 a set. They take almost 2 hours to put on and the prices I found range anywhere from $50 to $150 (and a few who charge even more)! Now I have no problem with hair stylists and estheticians charging what they are worth, and if that is the going rate for the extensions that is fine. My problem with these extensions is that they are very touchy. They are not sturdy and do not stay on very long. So you are paying $80+ for something that only lasts a couple of weeks if you do not rub them. Also in eyebrow extension care guides I found that you can not swim with them on, and they recommend you do your best not to get them wet in the shower. You are supposed to avoid them when wiping your makeup off at night and using cleansers. This is a HUGE red flag to me. I love my cleansers! How am I supposed to clean off my brow makeup if I can't use makeup removers or cleansers around my brows? I guess I just hate the idea of having to baby my eyebrows. However if you feel like the money is worth the 2 weeks of fabulous looks, or would be for one specific event in your life then go for it! These ladies are seriously talented and have skills that I do not! However make sure you are looking at before and after pictures where the brows are NOT filled! Some of the pictures make it look like the impossible can be done because the after pictures include perfectly penciled in brows.